Monday, Jan. 07, 1935 - The minute a woman becomes pregnant certain hormones appear in her urine. If she wants to make sure of her pregnancy and can afford the expense, she may send a vial of her urine to her obstetrician. He will have a laboratory associate condense the specimen and inject some of it into the belly of a $1.50 virgin rabbit or a 20¢ virgin mouse. 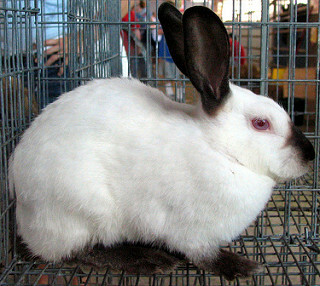 After two or three days the laboratory associate will kill the rabbit or mouse and examine its ovaries. If the ovaries are swollen, that shows that the woman is pregnant. The obstetrician then sends her the report and a good-sized bill. Last week three University of Chicago doctors announced that they had discovered a cheaper and quicker method of certifying pregnancy. Drs. Aaron Elias Kanter, Carl Philip Bauer and Arthur Herman Klawans use a little carp-like fish which costs only 30¢. Within 24 hours after a female bitterling is placed in a quart of fresh water, which also contains two teaspoonfuls of urine from a pregnant woman, there grows out from the belly of the bitterling a long tubular appendage, called an oviduct, through which in the ordinary course of nature she would expel her own eggs. As soon as one pregnancy test is over, the bitterling may be returned to an aquarium of fresh water where she quickly recovers her form and is again ready to serve curious womankind.